The Adventures in Diving program lets you try diving in different environments, teaches you new abilities underwater and increases your confidence in the water. Get your licence here in El Nido and make the most of your vacation in Philippines. The PADI Advanced Open Water course consists of 5 adventure dives + 1 extra free fundive. 2 of them are compulsory: Underwater Navigation and Deep Dive. 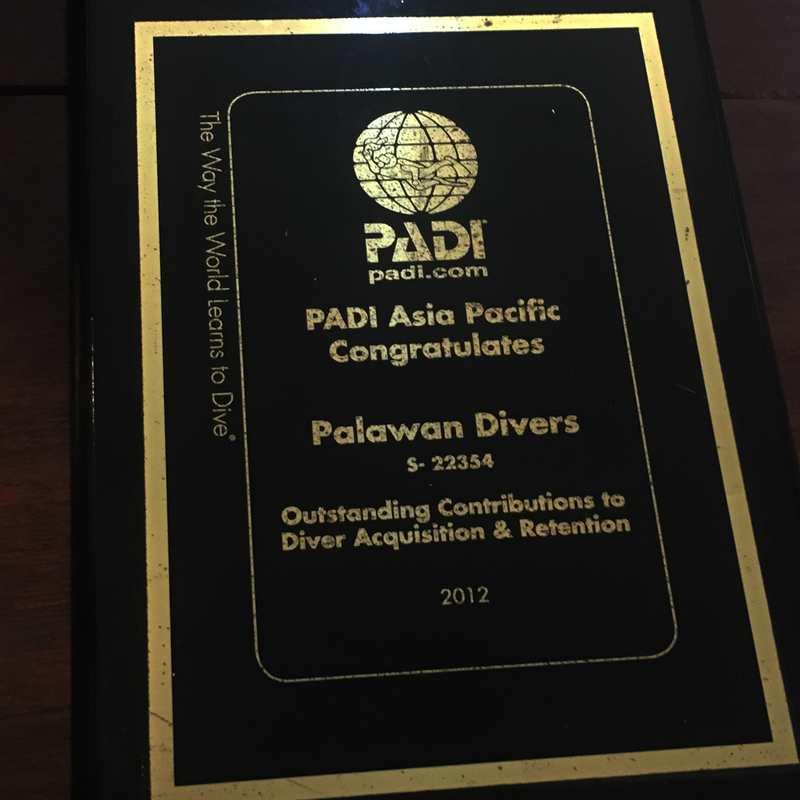 As it’s a very important skill for us, Palawan Divers has made Peak Performance Buoyancy mandatory as well. We will help you to choose the remaining 2 adventure dives according to your personal interests and preferences. There are no quizzes or exams. Just a chapter to read and a briefing of your instructor before going underwater! Save time by studying online, and then complete your dives when you arrive in El Nido. The PADI Advanced eLearning: Studying back home is the best option. You will complete the theory online before arriving in El Nido. It’s more comfortable to move through the program efficiently and at your own pace. You have access to interactive presentations that include videos, audios, graphics and reading. Short quizzes let you gauge your progress and review or correct anything you might miss. How to subscribe? Just book with us! To do so, we ask for a 50% down payment through Paypal. An account is not required. A credit card is enough. Once your booking confirmed, your eLearning access code will be sent to you. It’s safe, easy and makes sure space is available. Space is limited and may sell out for the dates of your vacation. Contact us! The PADI Advanced Open Water Course: Theory done! It’s time for diving! Now, you’re in El Nido, Philippines! The day before the start of your course, you will meet with your instructor and our team, complete the eLearner Quick Review, fill out the documents and fit your equipment. Done? Tomorrow, you will dive! Digital Underwater Photography: Learn the basics of taking good shots under the water. Search and Recovery: Learn different how to look for object under the water and bring them up to the surface. AWARE – Fish identification: Learn how to distinct different fish families. Underwater naturalist: This dive focuses more on the coral and plant life under the water. The PADI Advanced Open Water Course: How does it work? The course runs for two days, when you are to complete 3 adventure dives on the first day and 2 and the option of doing an extra fun dive on the next day. The day before diving: First, you will meet with your instructor and our team. Complete eLearner Quick Review. Fit your scuba gear and fill out the documents. Done? Tomorrow, you will dive! Day One: 7:30 am – 3:30 pm – You will complete 3 adventure dives, with a lunch break in between. If you have chosen a Night Dive, you will go for two dives first then dive again at 5:30pm for the last and most exciting dive. Day Two: 7:30 am – 3:30 pm – Go back on the boat for deep adventure dive and final adventure dive. After lunch, you will go for a free fun dive or a Nitrox dive for those who choose the PADI Advanced & Nitrox combo. You can pay Paypal and credit card (at no extra charge). All our prices are fixed. Our course package includes: full dive gear and instructive materials, instructor’s fee, boat travel, warm lunch made from fresh local ingredients, hot and cold drinks and cookies, plus the undivided attention of our dive staff. Our package does not include the Eco Tourism Development fee and has to be paid in cash. This ticket costs Php200 and is valid for 10 days. 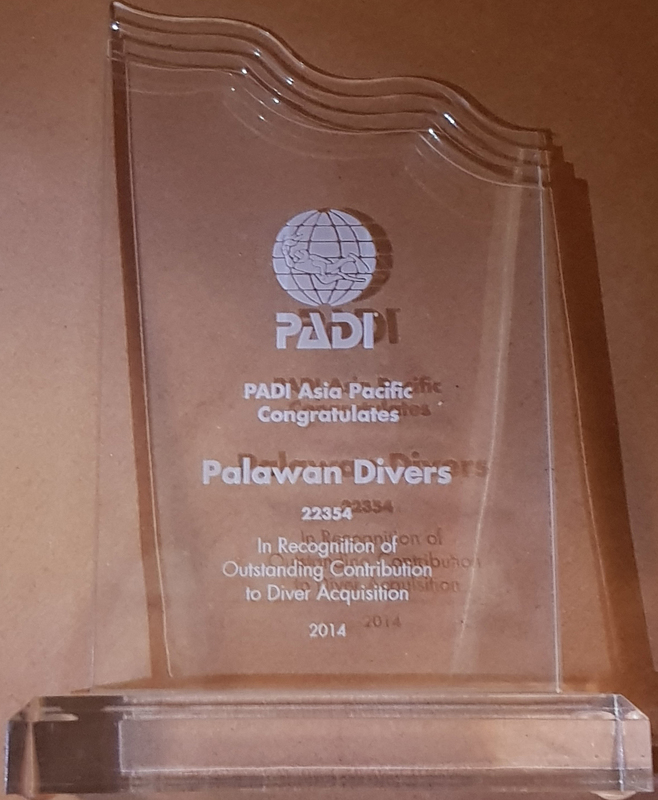 Palawan Divers usually plans 3 dives per day. We leave at 7:30am and are back at around 3:30pm. The quality, safety and comfort of your course are very important to us, so you can expect the focused, undivided attention of our staff. We limit the number of divers to 8 per boat, with a maximum of 2 divers per instructor. We never mix levels! ∙ Call +63 48 244 03 81. ∙ Email us: hello@palawan-divers.org or use our form.